On Tuesday we launched the EQ7 Seasonal Row-A-Long with the first set of rows from each of the 4 seasons and some filler rows as well. If you missed it, you will want to go back and read about it here. Plus here are some fabulous prizes for giveaways that you'll want to register for. You can also read all about the EQ7 Seasonal Row-A-Long, all the participants, and all the giveaways here. 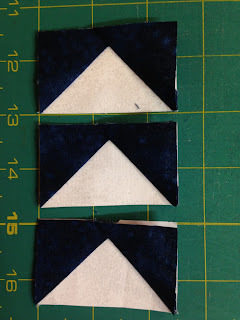 I thought I'd share a little bit more about my row with you since there was so much information on the original blog post. You know how much I like summer and warm weather and you know how much I love anything Americana so it should be no surprise to you that this is my row. Here is the heart flag block up close from EQ7. I thought paper piecing this block was the best way to go on it. 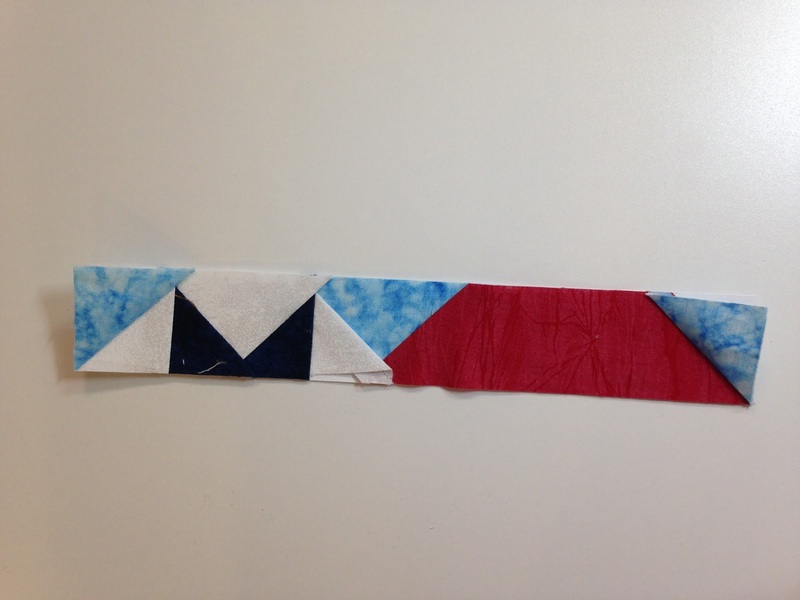 I consistently have a love/hate relationship with paper piecing and will avoid it if possible. However, I just couldn't see anyway to avoid it this time and still get the results I wanted. The block finishes 9" x 9". 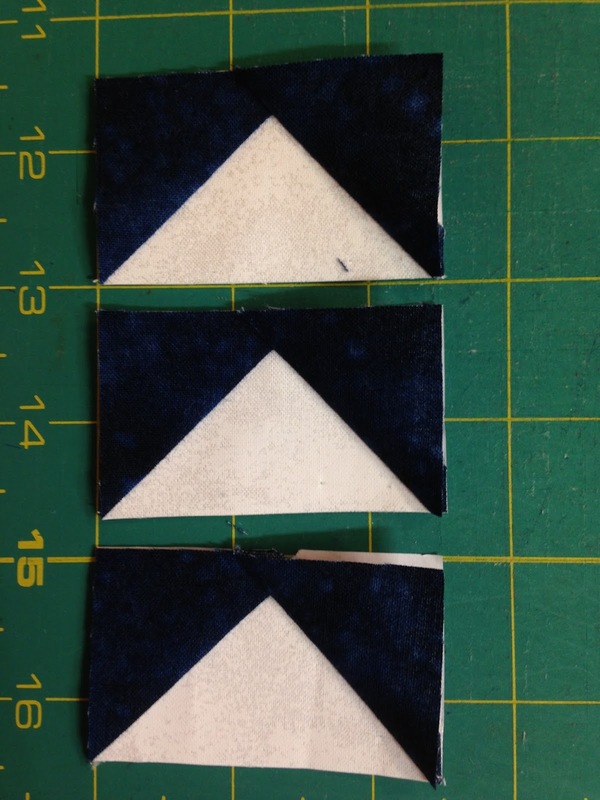 Here is the top row, Unit A of the heart flag block. Unit B blocks ready to attach to Unit C.
Oops Houston, we have a problem. I wasn't paying attention and got the strips on upside down. Instead of ripping out, I just threw it in the trash and started over. And Ta Da! A whole heart flag block. 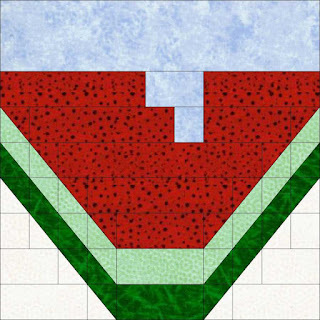 Now on to the Watermelon block. You may also paper piece this one but I didn't. I used traditional piecing to complete it. 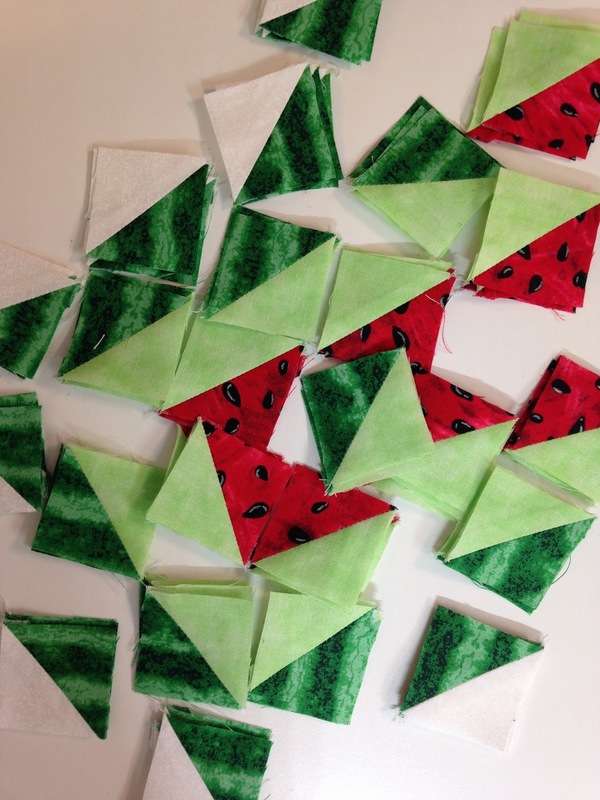 First I made all my half square triangle blocks so that I was ready to assemble the rows without stopping. 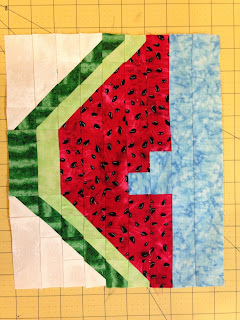 The watermelon block finishes 11" wide by 9" tall. 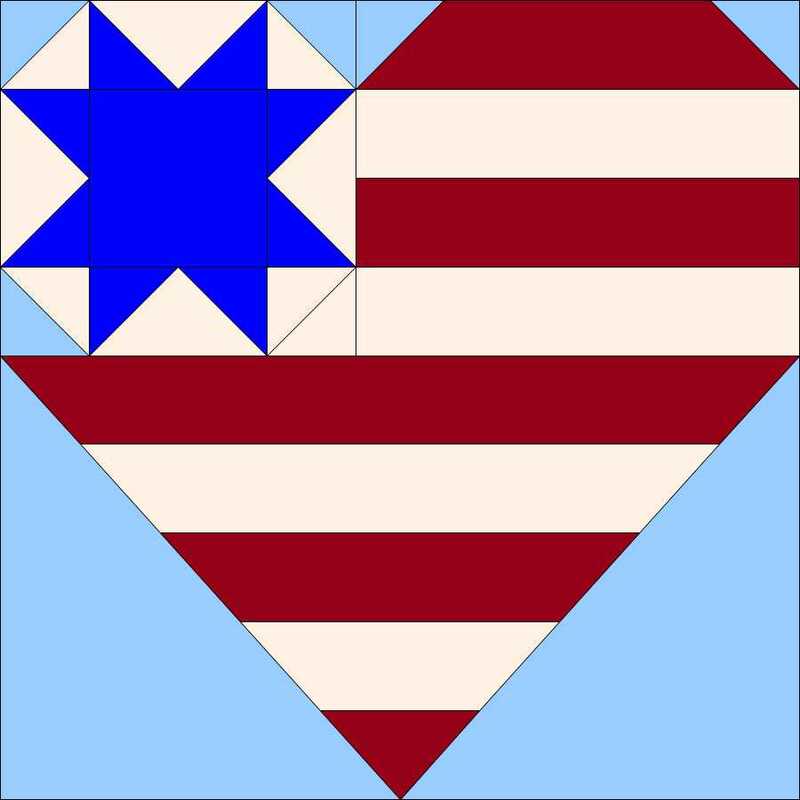 If you'd like to have the pattern, it's free on Craftsy here. Or you can email me and I'll send you the EQ7 file. 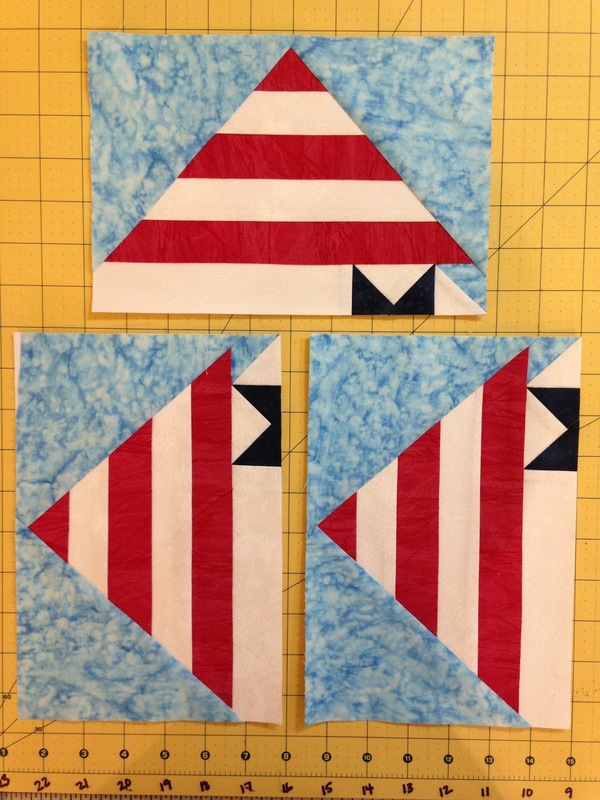 I see a table runner and place mats in my future with these two blocks. Each Tuesday in the month of September there will be 4 new designers with their rows, 1 each for summer, winter, spring, and fall plus a filler row as well. 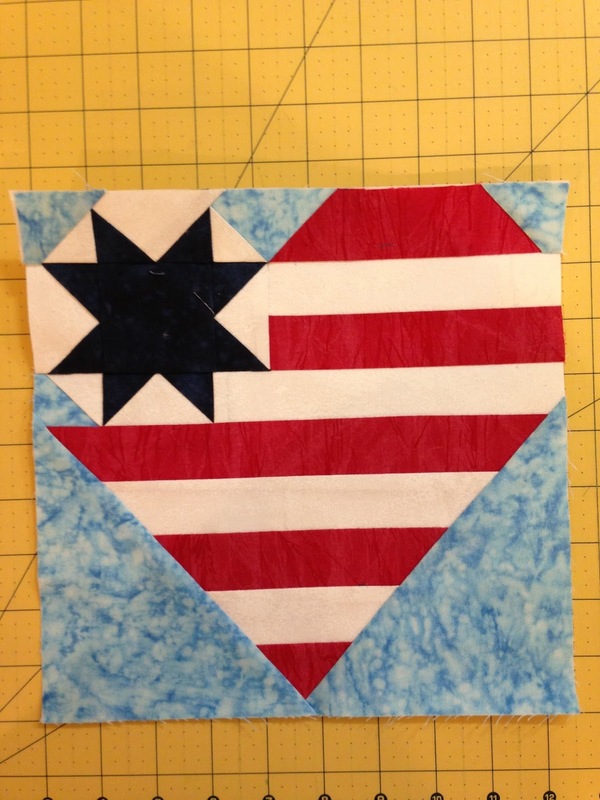 Then on October 6th there will be a show and share with completed quilts from 5 designers. I'll be one of them. And there will be more prizes; a really big grand prize you won't want to miss! Be sure and come on back. I'm also linking up with Lorna at Sew Fresh Quilts on her Wednesday Let's Bee Social post. Go Bee Social and show them some love. Love your heart flag block! 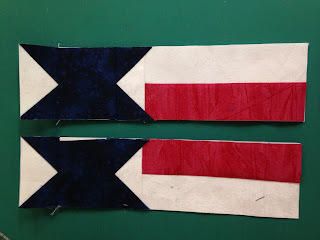 I never throw away my "oops" blocks - I use them with all my orphan blocks to create a quilt...maybe my "humility quilt"!! They always seem to play very well with each other!!! What a cute summer row project! I'd love to have the EQ7 project file! Thanks so much for sharing! I would love to receive a copy of the EQ .PJ7 project file. I think the star-heart blocks would be great to use in a QOV quilt.